Australian are crazy about big things and I think in no other country you can find so many of them (Big Things). 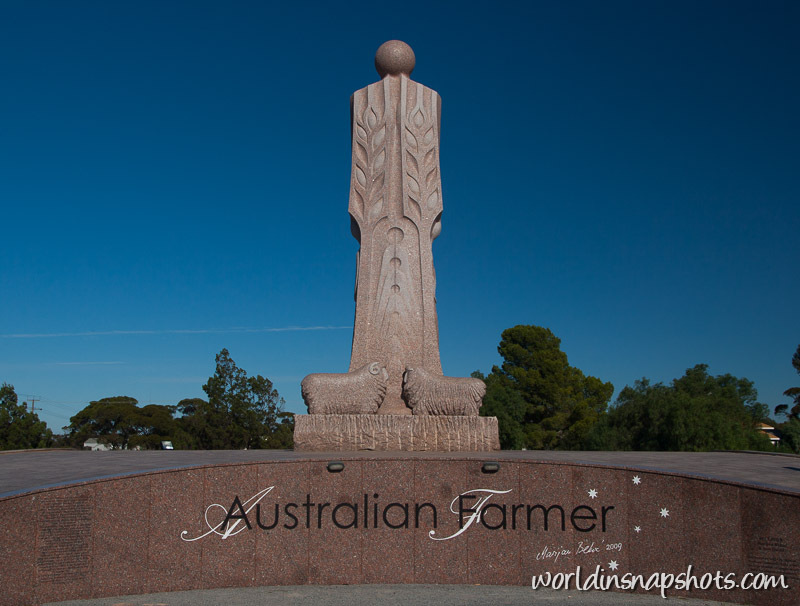 This is The Australian Farmer in Wudinna – little town in South Australia. It was made by sculptor Marijan Bekic and his son David.